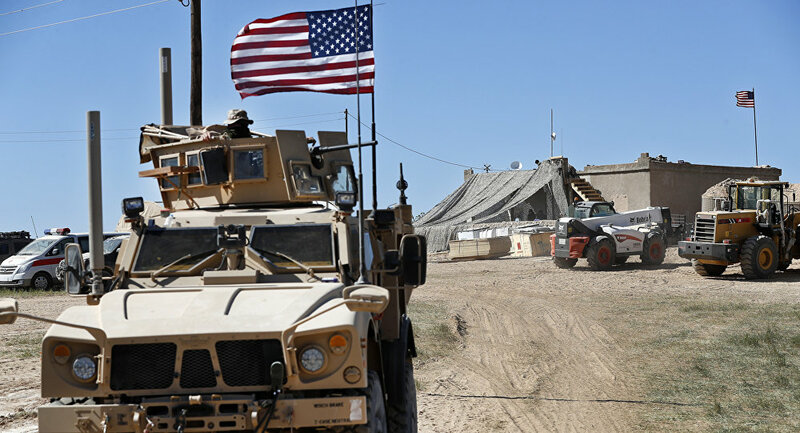 A military convoy has departed from a US military base located in the Syrian city of Kobani and set course to Manbij, the Fars News Agency reports, citing local media sources. The convoy is reportedly comprised of 10 Humvees, “three trucks carrying short-range missiles” and “two vehicles equipped with advanced radar and communication systems,” and is accompanied by an unspecified number of personnel. According to Anadolu news agency, the US has already established two bases in the Manbij region and deployed some 300 soldiers in the area. On March 3, Donald Trump announced his plans to pull US troops out from Syria in the near term, which was met with a conflicting reaction from the president's special envoy to the US-led coalition, Brett McGurk, as well as incoming US Secretary of State Mike Pompeo and Joint Chiefs of Staff Chairman Joseph Dunford, as well as a number of other officials.